One master bedroom, 2 bedrooms, 2 showers, section area off dining room seats 2, dining room seats 6-8, full meal service, observation room, open rear platform, TV/VCR, stereo, terminal and cellular phone. 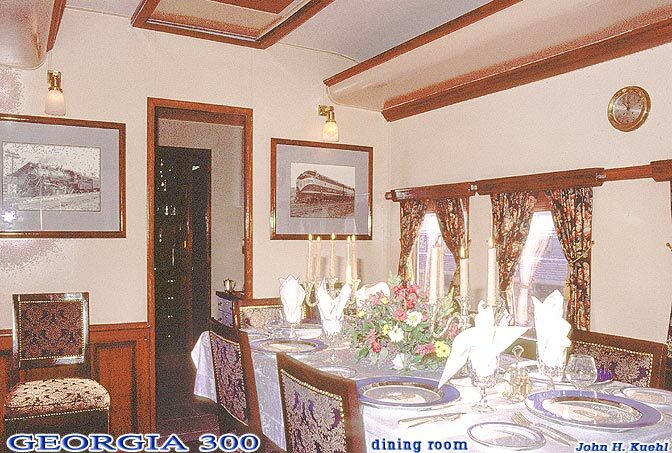 Pullman-built in 1930 as 10 section-lounge General Polk. 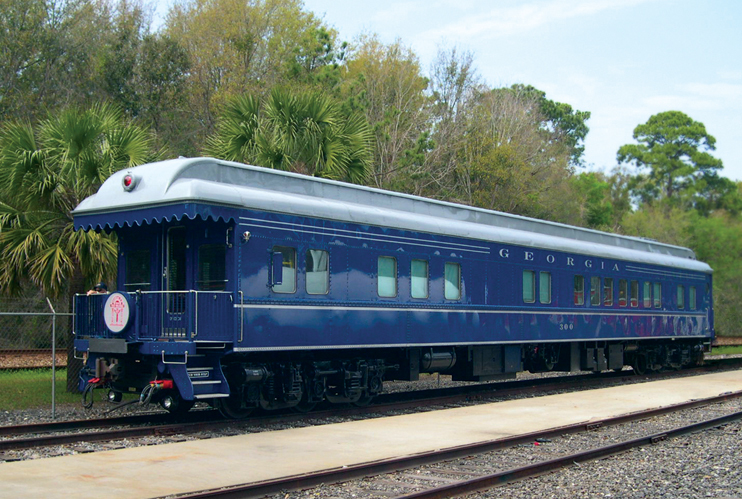 Converted to business car 300 by Georgia RR in 1954. Retired 1982. Purchased by present owner and fully upgraded 1986, 1989, 1995, and again in 2000. During 2006â€“2008, the interior and exterior of the car were completely repainted, along with the addition of new monogrammed linens and bed-coverings in the bedrooms and new upholstering for the couch in the observation lounge.